Spigit is used by leading companies in systems integration, financial services, insurance, pharmaceutical, healthcare, technology, and more, including IBM, Capgemini, Citibank, and Pfizer. Spigit’s 4.5M users from 150+ countries have generated over $1B in increased revenue from their enterprise innovation programs. Spigit is a wholly owned subsidiary of Mindjet, and is headquartered in San Francisco with offices throughout the U.S., U.K., France, Germany, and Australia. 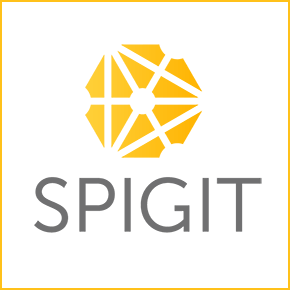 To learn more about Spigit, please visit www.spigit.com. Spigit crowdsourcing software allows you to achieve significantly better business results more efficiently and effectively than can be done with individuals or small teams. Our mobile-responsive software applies the latest game and social mechanics, supports simultaneous implementations, and is available in 10+ languages. Our highly configurable platform can conform to, and scale with, your unique innovation and approval processes, while our GRAPH API and industry-leading technology stack keep us highly responsive to your needs. Spigit's six global data centers come with stringent security features that meet even our most demanding customers' needs, including those in the government and financial services sectors. As the market leader in crowdsourcing innovation, we hold numerous patents in innovation management. Our world-class product engineers, statisticians, and data scientists apply proprietary algorithms to Spigit analytics and reporting, helping you to select the best ideas rapidly and avoid common crowdsourcing pitfalls.